The world our children are growing up in is changing rapidly. It is a world full of opportunities, challenges and possibilities. It is also a world that contains dangers and fears. As teachers and parents, we all want our children to lead happy, successful lives, to be in good relationships and to make good choices for their future. 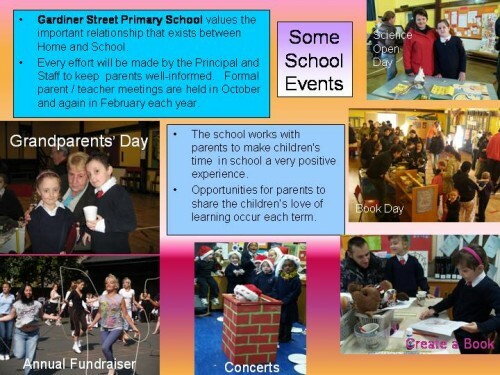 At Gardiner Street Primary School we aim to prepare children for life in tomorrow’s world. We believe that parents require more from a school than they did in the past. Teaching reading, writing and maths, whilst still important, is now only one part of what we do. Social, Personal and Health Education, Drugs Awareness, Mutual Understanding and Thinking and Learning Skills.